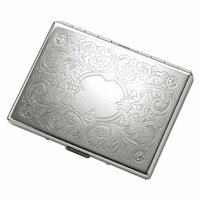 FEATURES/SPECS This personalized case for king size cigarettes is a stylish way to carry up to eighteen of your cigarettes with ease. 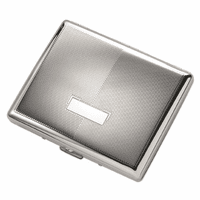 Made of solid metal, the case uses elastic bands to hold up to nine cigarettes on each side of the interior. It opens and closes with a push of the tab. 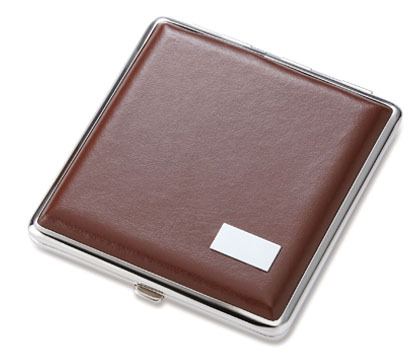 Outside, it has a smooth brown leather wrap that is great to look at and comfortable in your pocket. 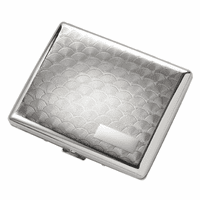 The leather is bordered by polisehd silver accents. 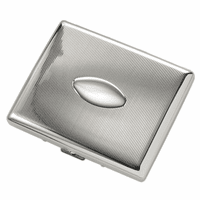 A rectangular plate on the bottom right hand corner of the front can be custom engraved with the inscription of your choice free of charge. 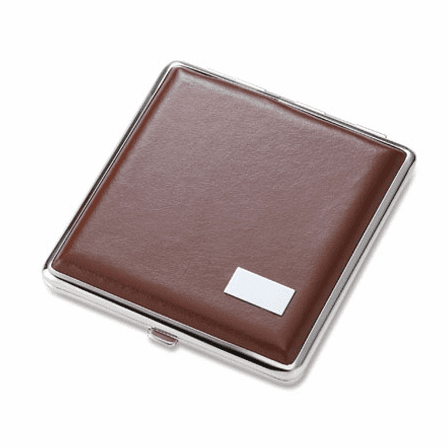 Packaged in a gift box, this custom engraved leather cigarette case ships out within one business day.